The Beauty Junkie - ranechin.com: Malaysia athlete: Lyonel Tan Ooi Keong won a bronze medal! Malaysia athlete: Lyonel Tan Ooi Keong won a bronze medal! 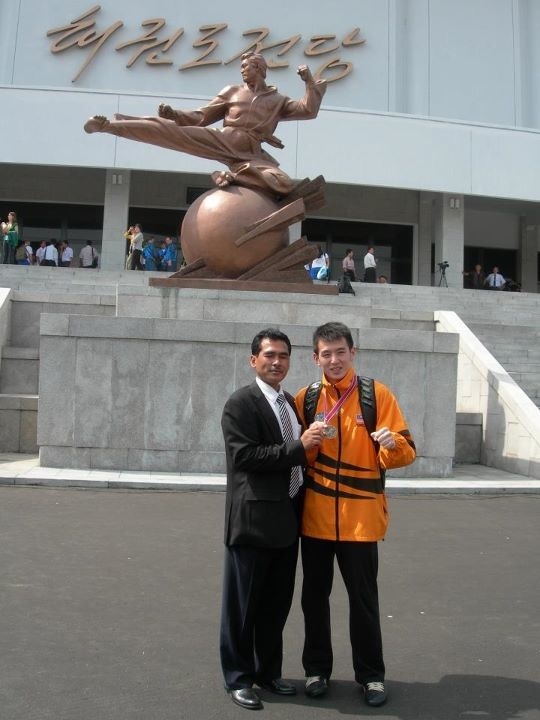 Lyonel Tan Ooi Keong won a bronze medal in the 17th ITF TaeKwon-Do World Championship in Pyongyang, DPR Korea recently. 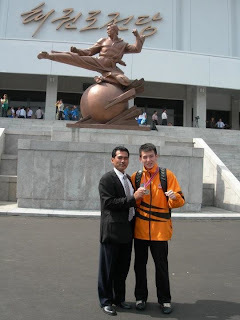 Encik Roselin Rajab, Councillor at the Embassy of Malaysia, Pyongyang, DPR Korea was also present at the stadium to give fullest support to the Malaysian National Team. Over 80 countries were at this bi-annual event where each nation will select their best female and male competitors above 18years old to compete in individual and team pattern, free sparring, special technique as well as power breaking. Wining the bronze medal in such event was a big achievement for Lyonel, who has taken part in six world championships, as all competitors are equally good especially the DPR Korean team who displayed excellent skills and performances. Twenty seven year- old Lyonel, a bank Relationship Manager, who displayed impressive techniques with good kicks in his pattern, gave a good fight to his DPR Korea opponent in the semifinals after beating England and Pueto Rico opponents. He was leading in his first pattern but lost out in the second one to settle for a bronze in the 4th Degree Individual Pattern event. The Malaysian Coach, Senior Master (SM) Tan Eng Kiat, who is also Lyonel’s father and instructor, felt very proud when he saw the Jalur Gemilang being raised during the award presentation. “I hope to see Malaysia getting a gold medal and Negara Ku being played in the next world championship which would be held in Bulgaria in the year 2013,” said SM Tan. However, it was double celebration for the Malaysian team as their coach, SM Tan who is also the Chief Instructor of Kuala Lumpur Association as well as the founder of Vision TaeKwon-Do Center ,was accorded his 8th Dan promotion at the 21st ITF TaeKwon-Do Congress which was held during the championship. At the Congress which was held yearly and attended by senior officials representing each participating country, the announcement of promotions, recognition as well as any latest updates were made by the ITF Board of Directors.